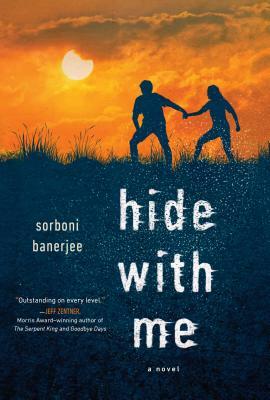 Debut author Sorboni Banerjee crafts a gripping story about the unbreakable bonds of friendship, the sweeping power of first love, and the courage to fight for a brighter future against all odds. Cade has a difficult past of his own. He's been trapped in the border town of Tanner, Texas, his whole life. His dad is a drunk. His mom is gone. Money is running out. Cade is focused on one thing, a football scholarship--his only chance. Just across the border in a city in Mexico lies the life Jane desperately wants to leave behind--a past filled with drugs and danger, information she never wanted, and a cartel boss who is watching her every move. Sorboni Banerjee is an Emmy Award-winning television news reporter and anchor. She spent a decade on the air in Boston, before moving to Tampa as a consumer reporter and anchor. She's the daughter of an Indian physicist who made her a storyteller and showed her the world, and a mother from Maine who taught her to love books and save the world, and she has a little brother who probably will. Sorboni lives in Florida with her investigative reporter husband, adorable son, and giant dog. This is her first novel. Visit Sorboni online at sorbonibanerjee.com . And connect on Twitter, Instagram, and Facebook @sorbonified.